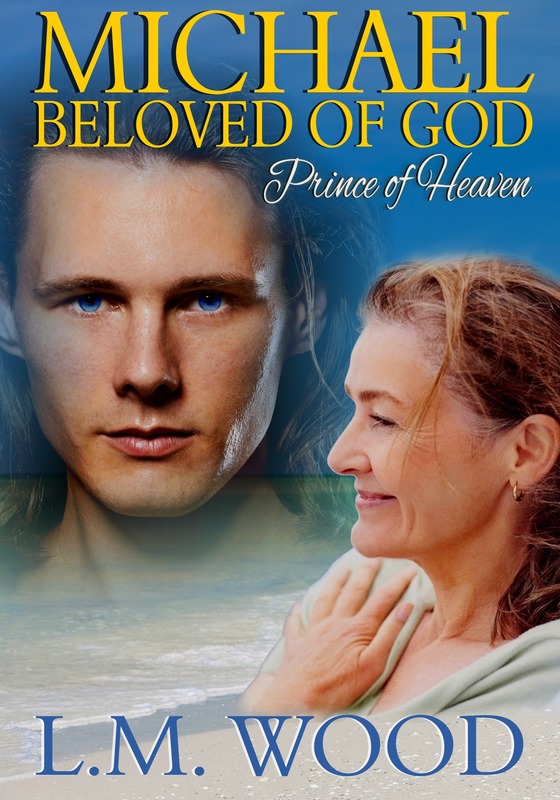 This is the new cover for Michael, Beloved of God by L. M. Woods. You can purchase it on Amazon or visit her website for more information. An Archangel, an old woman, a walk along the beach. Both with stories to tell, both reluctant to share them with each other. Why they were brought together in this particular moment of eternity is a mystery to both, but not to the one who sent them. For the sands of time in mankind’s hour glass were almost spent. The appointed hour of the apocalypse approached. A story of faith and doubt, of fear and hope. Was Michael’s fallen brother finally going to triumph after all? “Before. We were. Before there was light, before the stars were hung, before the galaxies were fashioned and the planets set to revolving around their suns, before the oceans were mixed, before the mountains were formed, before creatures were created, before there was sound, before there was matter, before there was time, before all except the One, we were. He formed us first to be his companions and his servants, to share his joy, and receive his light. All of his creations delight in His holy will, obey his every thought, and joyously dance to the tune He plays for them. Only man, who was formed in His holy image, dares to defy His laws. To your kind he gave generously of even the highest gifts, that none but we, the firstborn, knew. He was surely aware of the resentment building in one of us, the first among us, the fairest, the strongest, our brother, our sun. I cannot speak of that time, and I try not to give rise to the anger in my being against those responsible for his fall. For would I not then be no different than he? Would I not share his fate in my arrogance for questioning the will of He who is above all things? Perhaps He senses my resentment and knows of my frustration over my inability to set it aside. In His infinite mercy, He has given me this task, so I might understand, so my anger might ever be silenced, and I can return to the peace of knowing all will be well, and my brother will one day return to us. If I knew such an outcome to be a fact, I would not be troubled. For what is time to us but the count of endless dawns, the birth of new worlds and the death of ancient ones? But I know not what will come. Will my brother repent of his arrogance? Will man be my brother’s salvation or his eternal damnation? As to the fate of man, I do not presume to hazard a guess. For He is unfathomable and in time He may share his thoughts with me, I know not. He paused in the telling and I raised my eyes to his, both humbled by the depth of his loss and afraid of the terrible anger I sensed he kept masked deep within. In his eyes I found answers to questions I didn’t remember asking, yet I knew they were answers I desperately sought. In a single glance I learned faith was not the absence of doubt. Faith was overcoming doubt, even in the face of our rage and resentment when God’s plan failed to follow the course we believed it should. Absolute faith was not a goal to be attained, but one we were called to strive constantly for, even the greatest among us. When we convinced ourselves our faith was inviolate, it was then we were at our most vulnerable. Wasn’t that the lesson of Lucifer’s fall from grace? I knew the awesome presence before me understood this, but still I trembled before him. My mortal half instinctively recognized he could dismiss me from the face of this little earth, as he referred to it, with but the merest slip of his mighty will. The tense silence extended between us and I looked away, not wanting to intrude on his inner struggle. His brother’s fate was on both our minds.